It is easy to understand that each class is different. The behavior of the students, their way of interacting with the teacher or even the volume of their voices you could hear from the outside of the classroom. Each group is a whole different world and our teachers are in charge of filling this world with passion and new concepts. 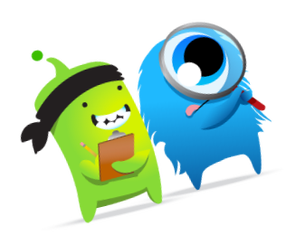 Classdojo is a super fun app where teachers can assess the progress and the behavior of pupils in class. 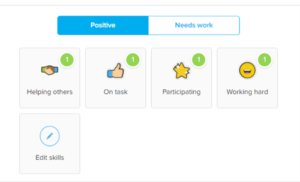 Using a number of points, which are given to student for homework or helping others for example, both teachers and students can control their improvement. We couldn’t miss this great way of keeping our students awake, so we have assigned each one of them one monster for them to score all their hardworking. The response has been incredible. It was like a big wave pushing our students into the deep sea. 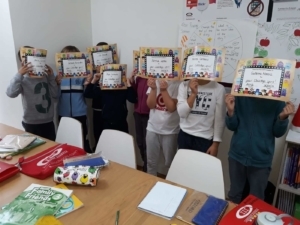 Since then, our little monsters have been using a lot more English in the class, their homework has become a fun routine for them and surely has been a motivation for their behavior. As a result, we decided to reward the class that has improved the most. A lot of our teachers nominated some of their groups to be awarded, telling us how their classes have improved after using Classdojo. Certainly it wasn’t easy to choose the winner but these are our winners! They received a beautiful diploma and a new pencil case and also a notebook. A special thank to Miss Lara who was in charge of this original idea. Finally, you can see how we like to innovate and to think about our students above all and we cannot miss the chance to let them know how proud we are. In other words, we understand the importance of motivation. Well done monsters! Father’s Day Our Marbella Summer Camps are back!